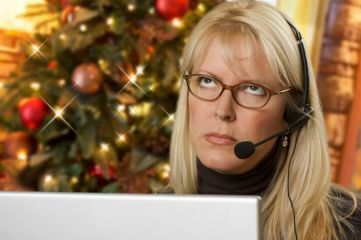 Make the holiday season bearable — or even enjoyable — with this GroupLink Holiday Help Desk Guide to help you through what is often the most stressful and busy time of year. It is often before the winter break that customers and users are catching up on their to-do lists and often that includes contacting support about that issue from a couple months back. Many organizations prepare for the end-of-year spike but sometimes it just gets overwhelming. Our goal is to keep your outstanding ticket pool empty and end users praising the name “help desk”! Many support teams bring on new help during this time of year and training can be as much or more time consuming as doing the work yourself. Consider cross-training your staff to handle more of the load. Policies change and processes are updated as a help desk grows and technicians learn. Remove the need for technicians to memorize each step of a solution with a robust knowledgebase and the ability for techs to share articles by the click of a button. In addition, an up-to-date knowledgebase is as useful to a technician as it can be to the end user. Have your knowledgebase include public articles that your users can access without even logging in to the help desk. Do you have a common types of tickets during this time of year? Try creating an article addressing holiday-specific FAQs too! Haven’t used the knowledgebase in everything HelpDesk yet? Watch our new 3-minute tutorial video. Ticket templates are designed to automate work flow tasks for any department. For example, hiring a new employee in most organizations usually involves multiple departments. The HR department needs to process an individual’s paperwork and get the results from screening tests. The department receiving the newly hired employee would then need to be ready with some training materials. The IT department could then set up the employee with a computer, logins and a company email address. A sequence of steps must be completed in order to fully accomplish tasks such as hiring a new employee. Automate routine tickets so the right people get the right stuff done in the prescribed amount of time. Any kind of automation can save you and your staff some precious time this season. Haven’t used ticket templates in everything HelpDesk yet? Watch our new 5-minute tutorial video. Getting in those weekly reports is often at the end of long weeks with tickets piling up and your team is trying to get ready for the weekend. It’s the same getting ready for the holidays. Automated reporting is an excellent way to get that unnecessary task off the list. Reports are an excellent way to create and share a snapshot of your team’s success and areas for improvement. Automate processes using an email template with recurring patterns so everyone who needs it has it in their inbox when they need it. The holidays are also a traditional time to commemorate and express gratitude for the good work completed that year. An organized, graphic report can help present all your wonderful work! Haven’t tried automating reports using filters in everything HelpDesk yet? Watch our new 4-minute tutorial video. Extra helpful tip: Communicate help desk unavailability to your organization before you close for the holidays. You may be finding a large backlog of tickets after your holiday break. Try encouraging your users to get help before waiting until the holidays and relieve some of that post-holiday stress for the New Year.